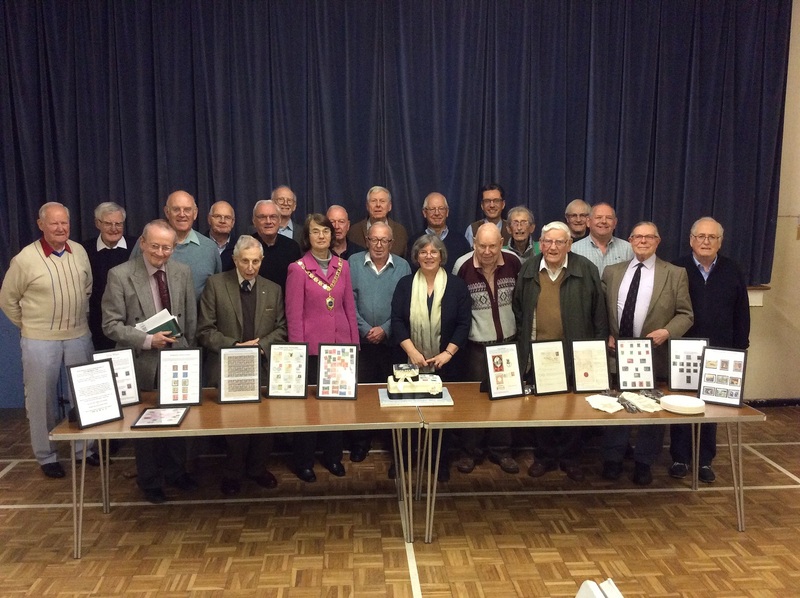 THE CHICHESTER and District Philatelic Society celebrated its 60th anniversary with a good show of members recently. Mrs Martha Brown, president, welcomed Chichester District Council chairman Elizabeth Hamilton to their celebrations and a special cake by Carol’s Cakes was also created for the evening. It was competition night at the club and three trophies were won which Cllr Hamilton presented certificates for. Simmonds Trophy – Christopher Podger. Cllr Hamilton also presented certificates to members who displayed stamps and covers at Chichester Library. The photo shows the displays on the tables.